It's been a few years since Volvo offered a sporty, fun-to-drive wagon, but that time is over. 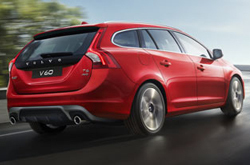 The 2015 Volvo V60 is a dynamic new sport wagon that offers uncompromising performance and plenty of utilitarian space, all in a stylish package. Featuring three levels of performance, classic Volvo safety features, a comfortable, versatile cabin and some great technology, the 2015 V60 reaffirms Volvo as the premier luxury wagon maker in the U.S. For more information on the hottest new thing on four wheels, keep reading the 2015 Volvo V60 review from Volvo of Dallas below. 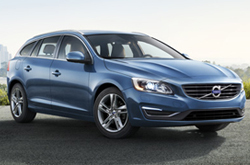 Popular in Europe for years, the 2015 Volvo V60 is all-new to North American shores this year. Based on the successful S60 sedan, the V60 has the heart and soul of a sport vehicle and the skin and storage space of a sleek, sophisticated wagon. In terms of interior volume, the 2015 Volvo V60 offers Dallas shoppers 43 cubic feet of cargo space, perfect for the commuter that likes a performance vehicle and an everyday hauler for things like groceries and other goods. When it comes to power and performance, the V60 is no slouch. With a 2.0-liter four-cylinder turbocharged engine that makes 240 horsepower and 258 lb.-ft. of torque, it produces enough muscle to provide an exciting driving experience. Additionally, drivers can utilize up to three performance modes: ECO + Start/Stop, ECO-Coast and Eco-Climate. The start/stop mode will save fuel by turning off the engine as the car coasts to a stop, while ECO-Coast will conserve kinetic energy by turning off the engine brake to allow the vehicle to coast to a comfortable stop. The ECO-Climate mode will shut off the air conditioner's compressor to reduce auxiliary load, but will turn the AC back on when drivers turn off ECO-Climate or turn the AC on. Comfort and high technology comprise the V60's cabin, with a standard 40/20/40 split-fold rear seat, leather seats, the Volvo Sensus infotainment system, an eight-speaker premium audio system and 160-watt amplifier, Bluetooth, six months of Sirius Satellite Radio, climate control and much more. For more information and specs, please continue reading the 2015 Volvo V60 review below or contact Volvo of Dallas, located in Frisco, Texas. In several areas, the 2015 Toyota Venza, Volkswagen Jetta SportWagen and the Subaru Outback are eclipsed by the 2015 Volvo V60. If the V60's advanced cabin amenities and marvelous looks don't convince you that it's the right vehicle for you, we're sure its cut-rate cost will. Compare its price against the forementioned vehicle options and you'll definitely see that it's a truly outstanding value, which makes it a number-one choice for many Dallas Volvo customers. The bullet list below this paragraph will give you even more details about its vehicle specs! Does the V60 have what you want out of a vehicle? 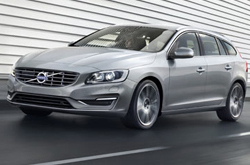 Check out Volvo of Dallas's overview above, as well as other 2015 Volvo reviews to find the right model for your budget. 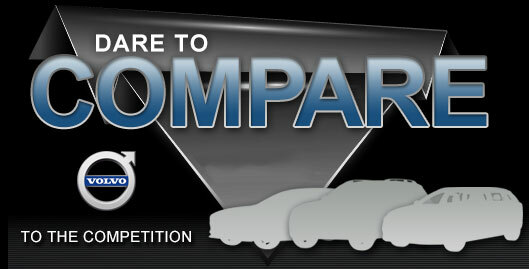 Good reviews are hard to find ; but as the prominent Volvo retailer in Dallas we've put it all in one location for you. Once you start reading, you'll find that this article is filled with vehicle specs in a layout that's easy to read. Use it to get the info you need to make an educated purchasing decision. Please visit our Volvo review and compare index if you feel the V60 is not fit for you; there you&ll learn about Volvo of Dallas's entire lineup.